Max's Pinoy-Style Fried Chicken and the New Chicken Dips. Since I was little, I've always loved Max's Restaurant. And even now that I'm older, T and I still eat at Max's every once in a while, especially when they had the chicken-all-you-can promo a couple of years back. Oh, that was crazy! 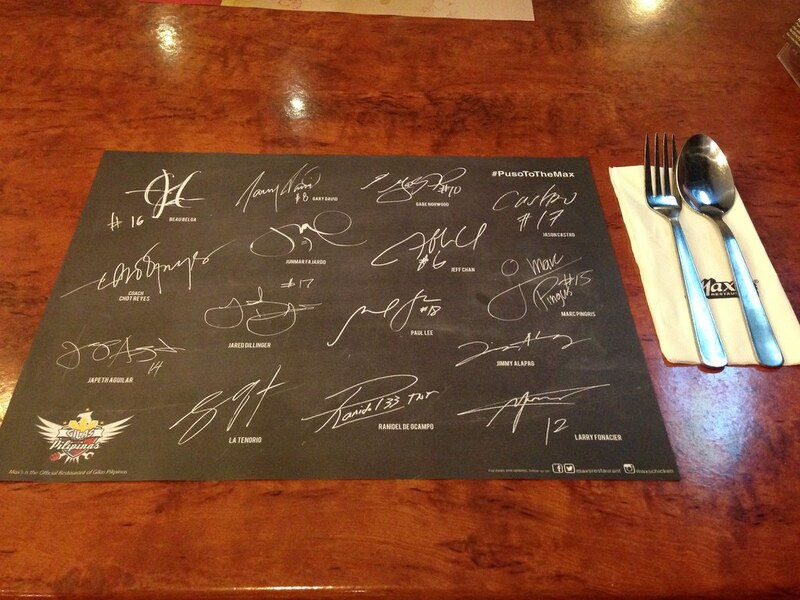 They are also one of the official sponsors of the Gilas Team that's why, if you can remember, I got tickets to see the NBA-Gilas event (read my blog post on NBA-Gilas The Last Home Stand Charity Event 2014). Last month, Max's Chicken invited me and T to try their new chicken dips: Pinoy Sarsa, Chili Sauce, and Max's Gravy. The dips come with every order of a whole Pinoy-Style Fried Chicken. 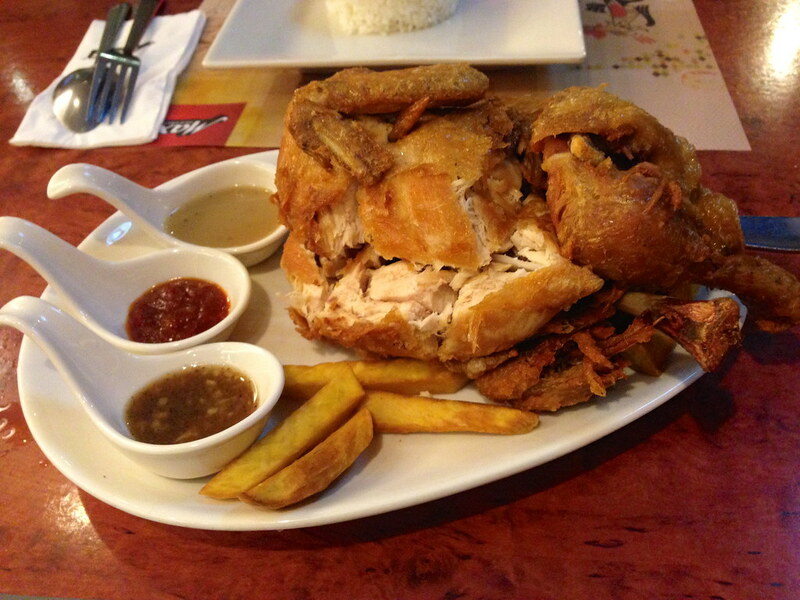 Pinoy Sarsa is similar to lechon sauce, Chili Sauce reminds me of Sriracha, while Max's Gravy is, well, gravy. I like Chili Sauce the most so I ordered extra. I thought the serving size of the dips that came with the chicken were small because they were only samples. 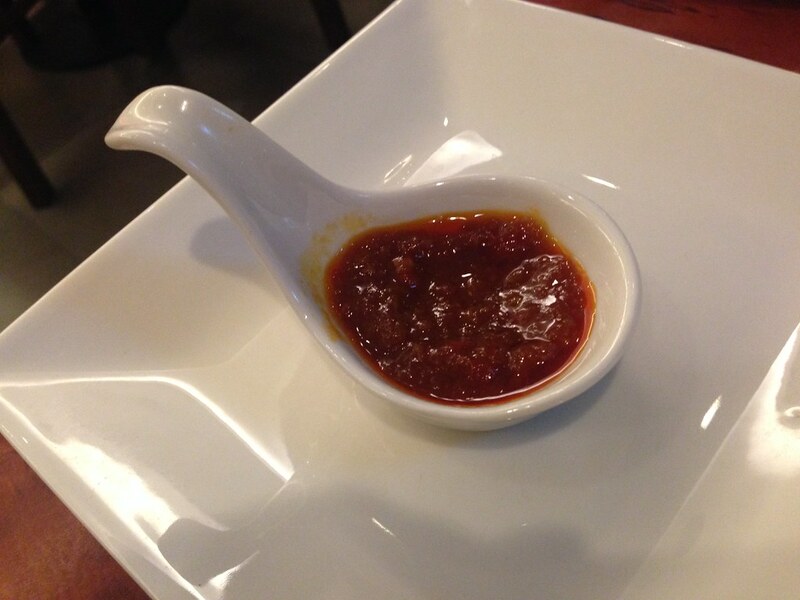 But when the additional chili sauce came, it was of the same size. An extra order of Pinoy Sarsa is P10 ($0.50) while an extra order of Chili Sauce or Max's Gravy is P15 ($0.60). 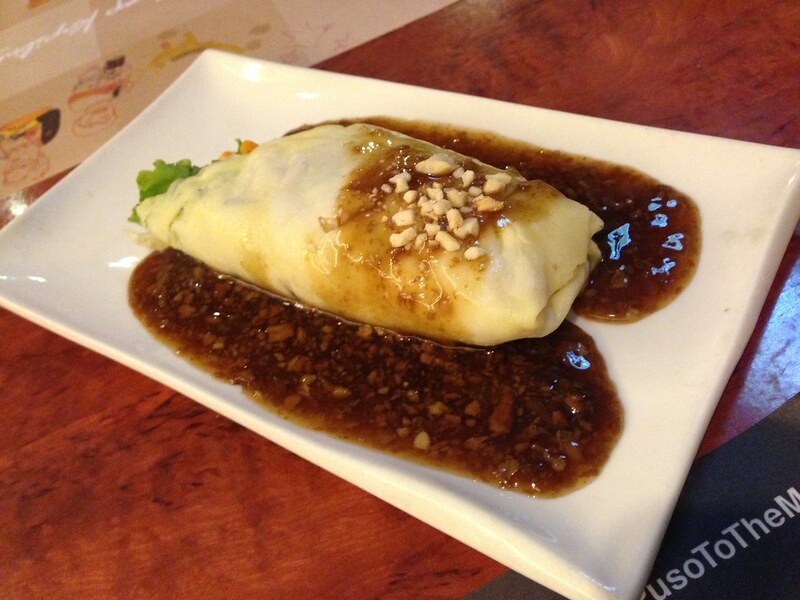 T also got Fresh Lumpiang Ubod (P71.50/$1.66++) which is tender, savory julienned slices of fresh coconut heart with pork, shrimp, and crab meat wrapped in egg crepe and topped with a nutty, garlicky brown sauce. This has always been a favorite of ours. 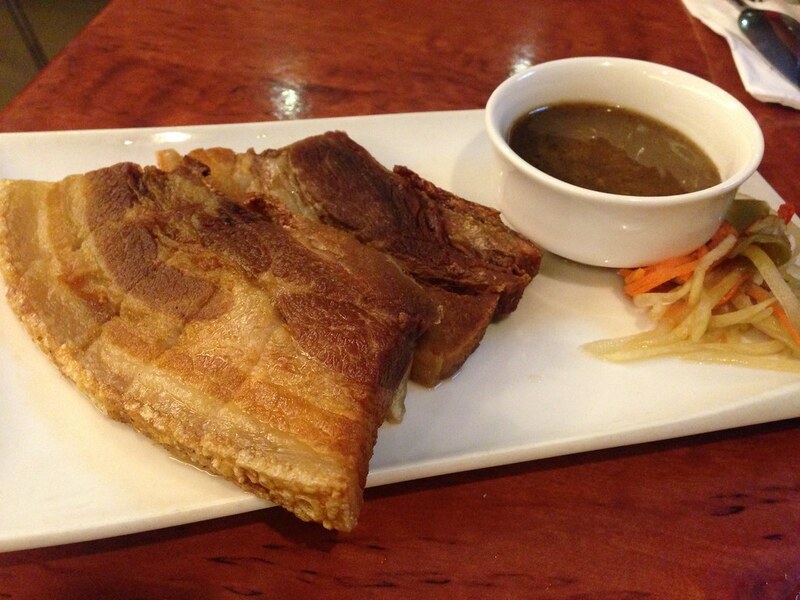 I also ordered Lechon Kawali (P324.50/$7.50++) which is deep-fried pork belly served with atchara and lechon sauce. The menu says it's good for 2-3 persons but this holds true only if you have another entree. This dish was so disappointing because it was not crispy at all. T just ate a piece and said I can have the whole thing because he had a hard time cutting and chewing it. 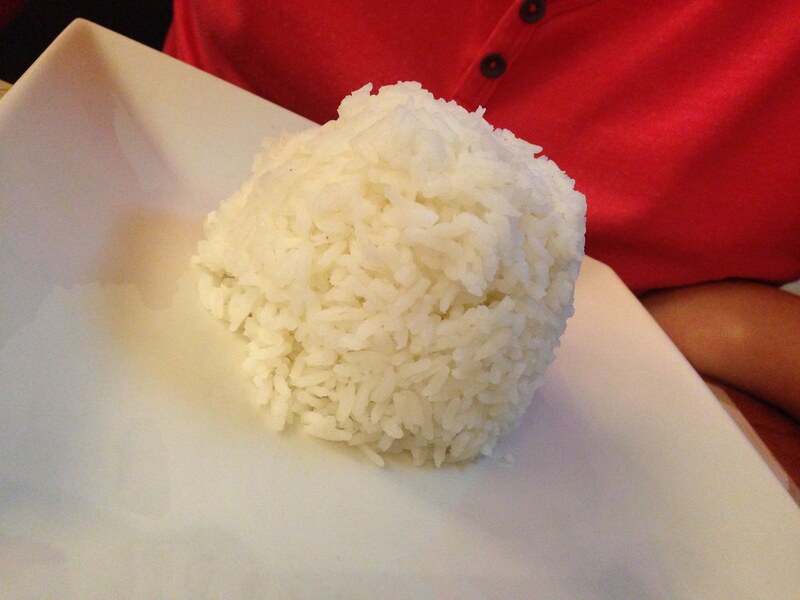 Rice is a must when eating in Max's so T and I ordered a cup each. The chicken is always a thumbs up for me! The new chili sauce is good. The Lechon Kawali was tough. Service was a bit slow. T had to ask so many times for a glass of water. The serving size of the dips are too small. I still like the classic catsup that Max's has but the new dips are worth a try. If you like spicy stuff, try the Chili Sauce. You can even mix it with Max's catsup for an extra kick. 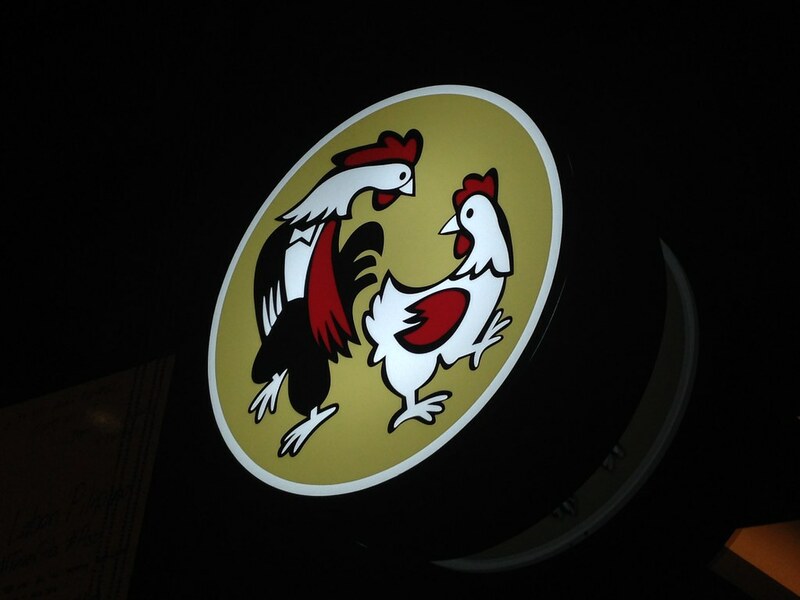 Believe it or not, I never got to go to Max's when they had the chicken-all-you-can. The one nearest my office was always full! Max's will always be a personal favorite when it comes to Pinoy chicken and I'm glad they continue to innovate even in the simplest ways. This is something I will try one of these days.